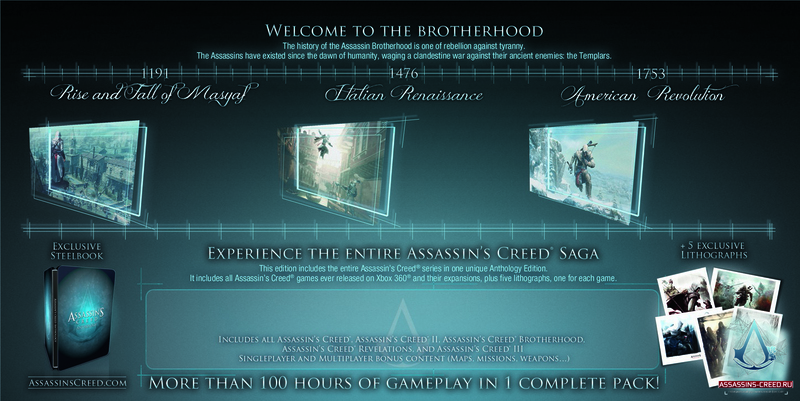 Ubisoft is planning to release an all-in-one compilation of the Assassin's Creed series. 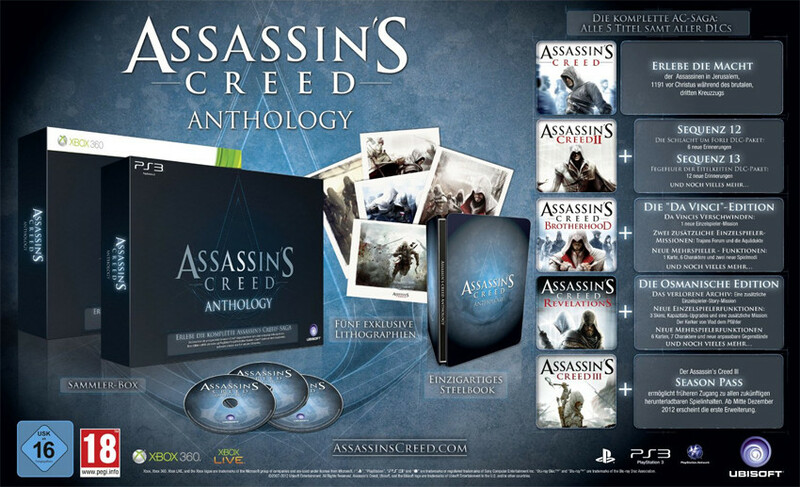 The Assassin's Creed Anthology, including five full games, has popped up on retailer websites. The Anthology was spotted at Amazon France among other places. It features Assassin's Creed, Assassin's Creed II, Assassin's Creed: Brotherhood, Assassin's Creed: Revelations, and Assassin's Creed III. All of the DLC for each game is included as well. For Assassin's Creed 3, you'll get the Season Pass that entitles you to five add-ons over the next six months. Ubisoft didn't formally announce this compilation before retailers posted it. However, after the cat was out of the bag, they confirmed the news to Eurogamer. They promise that additional details will be released later this week. Amazon's listing says that Assassin's Creed Anthology will arrive on November 29th. It'll cost 150 Euros, which is about $192 here in the United States. Only PS3 and Xbox 360 versions have been mentioned by retailers thus far.